Compositions of Samuel J. Porcelli, an Italian immigrant who lived in the Rochester area, will be performed for the first time by the RIT Concert Band on March 1. In what could be called Mr. Porcelli’s Opus, compositions of an Italian immigrant who lived in the Rochester area will be performed for the first time at Rochester Institute of Technology. 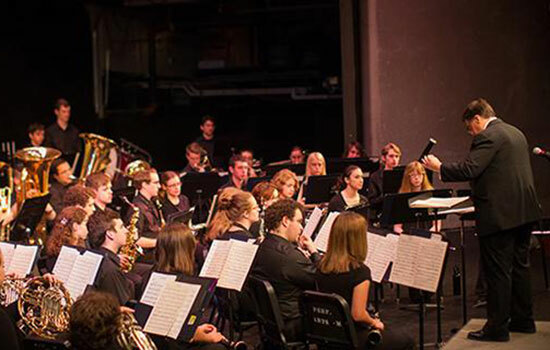 The RIT Concert Band, conducted by Dean Davis, will present “From Italy to America, The Italian Diaspora,” at 7 p.m. March 1 at RIT’s Ingle Auditorium. The concert, which kicks off RIT’s “Viva L’Italia: RIT Celebrates Italy!” series of concerts, speakers and exhibits through April, will feature the works of Samuel J. Porcelli. Soloist Sungmin Shin, an adjunct professor of applied guitar at RIT, will play the mandolin. The youngest of seven children, Porcelli was born in Sicily in 1893 and immigrated to Rochester after his father died in 1906. He lived in the Rochester suburb of Irondequoit and worked as a tailor, a shoemaker and at a casket company to help support his three children and eight stepchildren. He died in 1991 at the age of 98. Two years ago, a family friend brought the handwritten compositions to Jonathan Kruger, chair of RIT’s performing arts and visual culture program, who transcribed them into modern notation and selected pieces for the concert. Several members of Porcelli’s family are expected to attend the concert, which will include slideshows and short verbal presentations about Porcelli’s experience in Italy and the U.S. An Italian-themed reception will follow the concert in the Fireside Lounge. She said the concert also means a lot for her mother, Eleanor Sciscioli, now 85 and one of Porcelli’s children. Porcelli was an avid mandolin player and would spend hours composing music. Some of his ballads, marches and mazurkas were played by community bands in parks or at festivals, but most of his compositions were never heard, his family said. 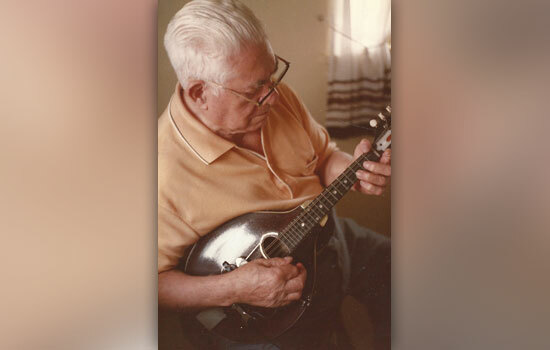 Samuel Porcelli, an Italian immigrant who lived in Irondequoit and composed music prior to his death in 1991, playing his mandolin. A concert of his compositions, most which have never been heard, will be performed March 1 by the RIT Concert Band.